Purple Paro Valley was developed from a landrace Sativa that originates from the Paro Valley in West Bhutan at an altitude of 2.500 meters. The feminised hybrid is only two generations removed from the wild habitat. In this region the landrace has adapted to the harsh Himalayan climate of extended dry spells, monsoon rain, and cold winters. 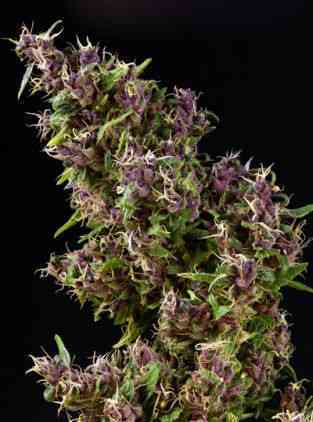 Purple Paro Valley (PPV) is recommended for cultivation in northern climates up to 56°N, or where high humidity is a concern. With global warming making outdoor cultivation increasingly unpredictable this resilient landrace hybrid can meet the challenge. Thanks to her extreme durability she can cope with low temperatures better than most modern cannabis strains. At first glance her flexible branches look somewhat fragile and willowy. But the local Paro landrace can withstand strong wind and downpours. For the most part, Purple Paro Valley has inherited this feature. Nevertheless, it is recommended to support the plants if a storm is expected and not to wait and see! 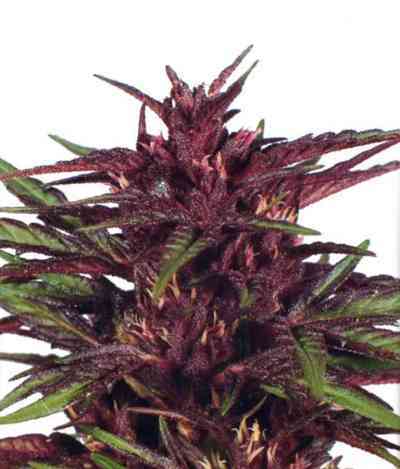 The mold resistance of the pure landrace and PPV is exceptionally high. The plants are also quite nutrient-efficient. Hybridising the landrace was essential to improve yield. Growing a large multi-branch plant will enhance yield further. 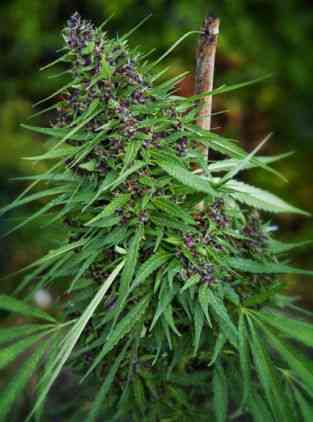 Purple Paro Valley is especially suitable as a “back-up strain” in unfavourable climates. For example, a few PPV plants can be combined with a higher yielding strain for the north such as our Mandala #1. In very difficult locations, or in a season with exceptionally bad weather, Purple Paro Valley is perhaps the only reliable choice. Where other varieties have already failed before, there is still hope with this special strain! For guerrilla cultivation she is also an attractive choice because hardly any other strain requires such low maintenance. Although the mother genetics are homogenous it did not turn out this way with the current feminised strain. This doesn’t have to be an undesirable factor. Diversity is an evolutionary strategy in nature to ensure survival. For that purpose, the diversity in PPV can play an important role in securing your harvest. We differentiate mainly between the green and the purple phenotype. The purple phenotype accounts for approx. 75% per 10 seeds and is very attractive and fascinating to watch during flowering. The green pheno is shorter in height, finishes flowering earlier, and the buds are also more compact. The purple plants have long internodes, which has to be taken into account when growing in containers or a greenhouse. Late planting and pruning is recommended in both situations. In a Mediterranean or hot climate the plants grow between 1.50 (green pheno) to 2 meters in containers if they are planted in June (northern hemisphere) and left unpruned. If a moderate size is desired, we recommend timing the planting season to allow for just one month vegetative growth. During this vegetative period pruning the main growing tip once should be sufficient. Purple Paro Valley responds well to LST (low stress training). Trimming the bottom shoots further simplifies plant care and increases the strength of the upper branches. During flowering most plants develop a delicious spicy and green lime aroma. The citrus/lime scent is typical of the Paro landrace. But there is one type of plant that stands out and Mandala Seeds team call her “candy girl”, because she smells just like sugary candy! When you crumble the dry buds they release a sweet, minty scent with a touch of hazelnut. The green phenotype tends towards lavender. The terpene linalool is responsible for the lavender scent and enhances the sedative, sleep enhancing effects, as well contributing to pain relief. Some of the purple plants can also smell like black tea, but the smoke still leaves a fresh, minty aftertaste on the exhale. PPV hash oil has the fresh, sweet, balsamic aroma of Himalayan cedar wood and has tested at 27,5% THC. The high is predominantly very relaxing or couch lock. It’s suitable for winding down, as a sleep aid, great to relieve hyperactivity and nervousness. 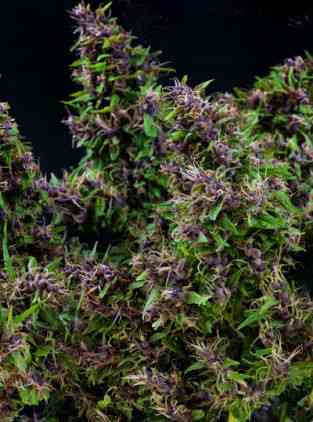 Medical use: Sleep aid, anti-anxiety, relieves hyperactivity and nervousness, increased appetite, anti-stress, pain relief.